ECTA’s latest production “Banaprastha” premiered at the Edison Valley Playhouse on May 16th in front of a full house. The play was very well received by the audience as you can see in the accompanying video. The second show was held on May 17th. Besides the video comments, here are some of the comments sent over the email. Few months ago I wrote about the debut of a new Bengali webzine, Urhalpool.com. The magazine has now reached new heights with the introduction of the first hard copy version at the 2009 Kolkata Book Fair. 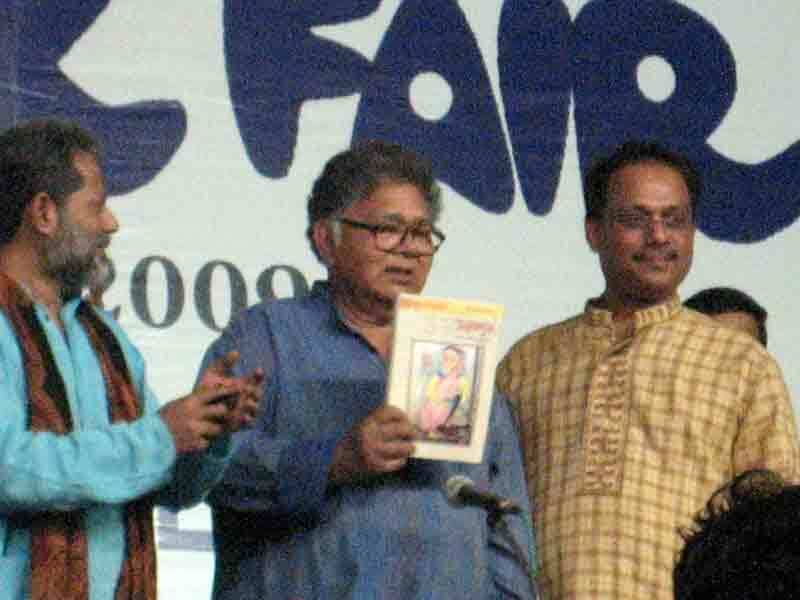 On Saturday 7th February 2009, at 6PM, the UBI auditorium at the Kolkata Book Fair ground was completely packed with people standing all over. Sunil Gangopadhyay introduced Urhalpool with a short speech which was followed by editor Goutam Datta talking about the vision of the magazine. The Hon’ble consul general of Italy was present on the stage along with Urhalpool’s Italian writer Alessandra Corsini. Several other contributers to the magaine like Alolika Mukherjee, Subodh sarkar, Mallika Sengupta, Pinaki Thakur, Bithi Chattopadhyay and others were present at the event. Urhalpool’s Shakti Chattopadhyay Life Time achievement in Bengali literature award (Rs25,000) was presented to Nabaneeta Dev Sen and Nirmal Chandra Gangopadhyay Sahitya puroskar was awarded (Rs15,000) to Poet Srijato. Poet Shakti Chattopadhyay’s wife Minakhi-di handed over the Shakti Chattopadhyay award and Nupur Lahiri handed over Nirmal Chandra award. The entire program was conducted by Soumitra Mitra.